Description: THIS PRODUCT IS SOLD UNFUNDED. PRICE DOES NOT INCLUDE FUNDING AMOUNT. 1/2 Troy oz 999 Fine Silver. No COAs will be provided. Coins come with clear air-tight capsule. 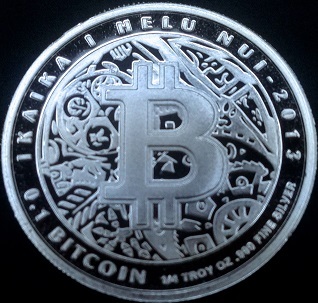 Pairs of these coins come with a 2-coin blue leatherette case. 30mm diameter. Description: THIS PRODUCT IS SOLD UNFUNDED. PRICE DOES NOT INCLUDE FUNDING AMOUNT. 1/4 Troy oz 999 Fine Silver 5 LTC. Capsule included. COA and leatherette not included. Serialized holograms. 25mm diameter. Description: THIS PRODUCT IS SOLD UNFUNDED. PRICE DOES NOT INCLUDE FUNDING AMOUNT. 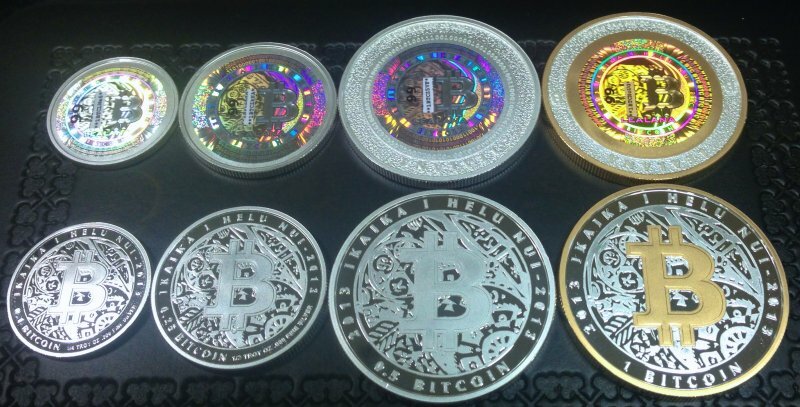 1 oz gold-plated 1 BTC, 1 oz 0.5 BTC, 1/2 oz 0.25 BTC, 1/4 oz 0.1 BTC. COAs not included. #1 to #500. Capsules and case included. 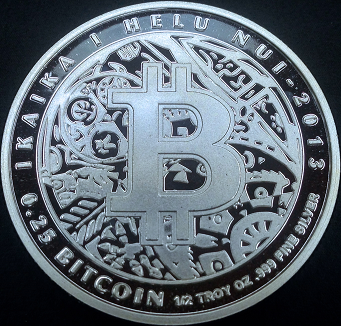 All coins are 999 Fine Silver. Description: THIS PRODUCT IS SOLD UNFUNDED. PRICE DOES NOT INCLUDE FUNDING AMOUNT. 1 Troy oz. 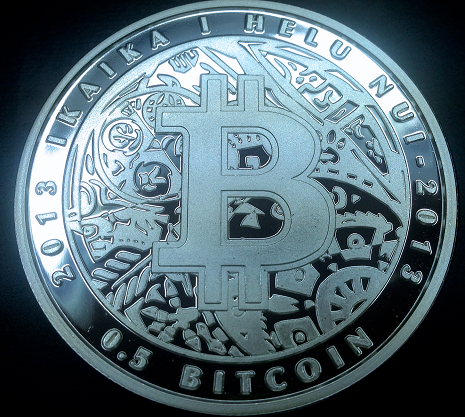 999 Fine Silver Gold-plated B. 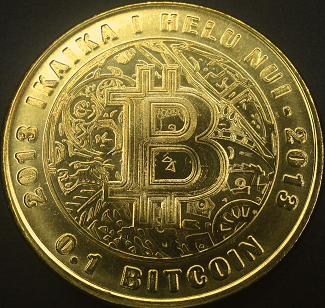 Unique gold-foil hologram placed on back of coin. COA not included. Capsule and case included. 39mm diameter. Description: THIS PRODUCT IS SOLD UNFUNDED. PRICE DOES NOT INCLUDE FUNDING AMOUNT. 1 Troy oz. 999 Fine Silver. COA not included. Capsule and case included. 39mm diameter. Description: THIS PRODUCT IS SOLD UNFUNDED. PRICE DOES NOT INCLUDE FUNDING AMOUNT. 1/2 Troy oz. 999 Fine Silver. COA not included. Capsule and case included. 30mm diameter. Description: THIS PRODUCT IS SOLD UNFUNDED. PRICE DOES NOT INCLUDE FUNDING AMOUNT. 1/4 Troy oz. 999 Fine Silver. COA not included. Capsule and case included. 25mm diameter. Description: THIS PRODUCT IS SOLD UNFUNDED. PRICE DOES NOT INCLUDE FUNDING AMOUNT. 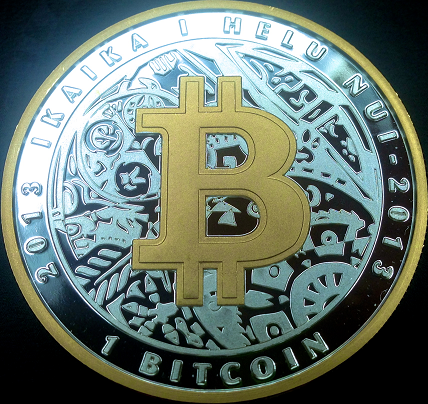 This is one single 0.1 BTC brass coin. 30mm diameter. Will come in a poly-bag. Description: THIS PRODUCT IS SOLD UNFUNDED. PRICE DOES NOT INCLUDE FUNDING AMOUNT. 30mm Brass nickel-plated brass coins. Coin(s) will come in a poly-bag individually. 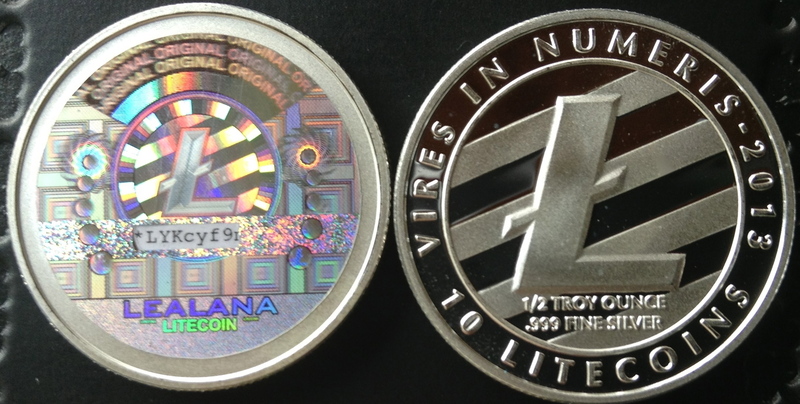 Coin uses series #2 Lealana Litecoin Holograms (same as 20 ROLL). Each coin is numbered from 1 to 10,000. Description: THIS PRODUCT IS SOLD UNFUNDED. PRICE DOES NOT INCLUDE FUNDING AMOUNT. 30mm Brass nickel-plated brass coins. 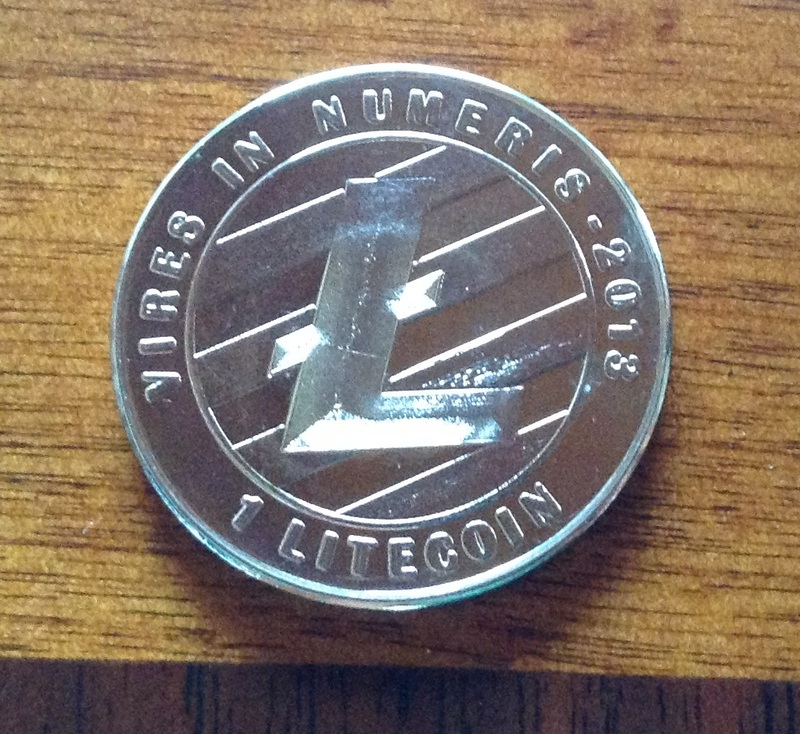 Each set of 20 coins will come in a plastic roll container.